Buying a car seems simple enough. You choose a dealer you want to use, pick out your car and sign the papers. There’s nothing to it, right? Well, it can be that simple but it would be to your advantage to take it a little slower and spend some quality time preparing to buy your new Toyota. The savvy shopper always comes out ahead. Have you or someone you know ever purchased a vehicle that you thought you really loved only to end up regretting the decision later? It happens all the time, especially when you impulse buy. You may look great driving that Mustang around town but is it really the right car for you? Even if it does have backseats, they’re usually uncomfortably small and definitely no room for a car seat if you have small children. While that may be an extreme example, the concept is the same for any vehicle. If it’s not suited for your lifestyle, then it’s not a good choice no matter what type of deal you got. You can avoid this and the following major mistakes people make when buying a car if you take your time and shop smart. Researching your different options before you shop will help you choose the right Toyota for your needs. There are many different styles of cars, trucks and SUVs available with a variety of features. Researching the different options will help you find the perfect vehicle and once you know what you want, you can begin comparing the different prices, ratings and reviews. 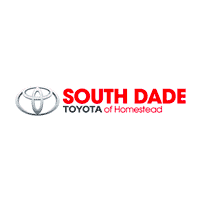 Here at South Dade Toyota you can learn about our Toyota lease specials and other incentives we offer to help you find the best deal possible. You may even decide that leasing is a better option for you than buying after doing your research. When you’re ready to buy a car, it’s easy to get excited and rush through the process but that’s not a good idea. Making quick decisions can result in making mistakes and you don’t want to start wishing you had chose the other model a week or so after making your purchase. Shop, look at the different options and pick out the vehicle you want. Then, go home and think about it a day or two. If you still feel the same way, then you’re ready to make the purchase. It’s easy to think you can afford a certain vehicle if you only look at the monthly payments. These can be lowered by extending the length of the loan longer but do you really want to be paying for that new car five or maybe even ten years from now? You have to look at the total price to make sure it fits into your budget before you sign an agreement you can’t honor. The total price will also include taxes, interest and insurance. Buying a car, whether it’s new or used, is a big investment. To get the best deal and to find the right match for you, take your time, research your options and consider the total price of the vehicle to make sure it fits into your budget.